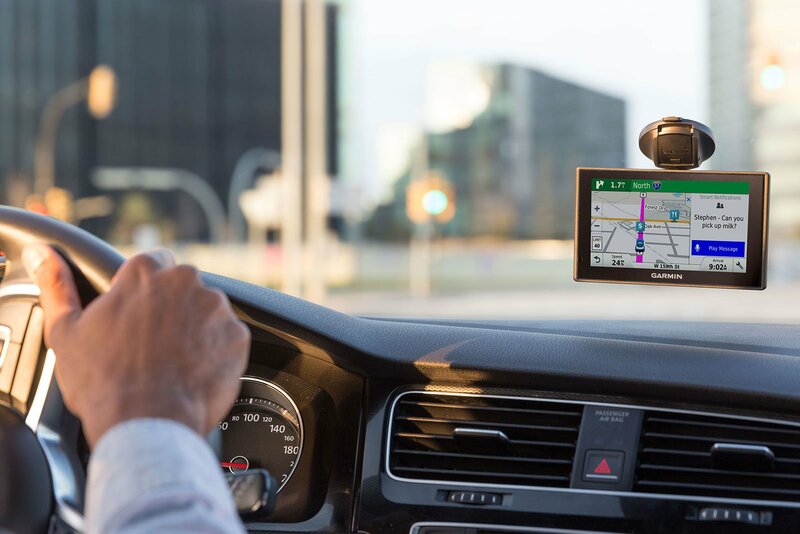 The Global Positioning System (GPS) is a satellite-based navigation system made up of at least 24 satellites. GPS works in any weather conditions, anywhere in the world, 24 hours a day, with no subscription fees or setup charges. The U.S. Department of Defense (USDOD) originally put the satellites into orbit for military use, but they were made available for civilian use in the 1980s. GPS satellites circle the Earth twice a day in a precise orbit. Each satellite transmits a unique signal and orbital parameters that allow GPS devices to decode and compute the precise location of the satellite. GPS receivers use this information and trilateration to calculate a user's exact location. Essentially, the GPS receiver measures the distance to each satellite by the amount of time it takes to receive a transmitted signal. With distance measurements from a few more satellites, the receiver can determine a user's position and display it electronically to measure your running route, map a golf course, find a way home or adventure anywhere. To calculate your 2-D position (latitude and longitude) and track movement, a GPS receiver must be locked on to the signal of at least 3 satellites. With 4 or more satellites in view, the receiver can determine your 3-D position (latitude, longitude and altitude). Generally, a GPS receiver will track 8 or more satellites, but that depends on the time of day and where you are on the earth. Some devices can do all of that from your wrist. Today's GPS receivers are extremely accurate, thanks to their parallel multi-channel design. Our receivers are quick to lock onto satellites when first turned on. They maintain a tracking lock in dense tree-cover or in urban settings with tall buildings. Certain atmospheric factors and other error sources can affect the accuracy of GPS receivers. Garmin GPS receivers are typically accurate to within 10 meters. Accuracy is even better on the water. Some Garmin GPS receiver accuracy is improved with WAAS (Wide Area Augmentation System). This capability can improve accuracy to better than 3 meters, by providing corrections to the atmosphere. No additional equipment or fees are required to take advantage of WAAS satellites. Users can also get better accuracy with Differential GPS (DGPS), which corrects GPS distances to within an average of 1 to 3 meters. The U.S. Coast Guard operates the most common DGPS correction service, consisting of a network of towers that receive GPS signals and transmit a corrected signal by beacon transmitters. In order to get the corrected signal, users must have a differential beacon receiver and beacon antenna in addition to their GPS. There are other similar systems to GPS in the world, which are all classified as the Global Navigation Satellite System (GNSS). GLONASS is a satellite constellation system built by Russia. The European Space Agency is creating Galileo, while China is creating BeiDou. Most Garmin receivers track both GLONASS and GPS, and some even track BeiDou. You can expect a more reliable solution when you track more satellites. You could be tracking nearly 20 with newer Garmin products. The 31 satellites that currently make up the GPS space segment are orbiting the earth about 12,000 miles above us. These satellites are constantly moving, making two complete orbits in less than 24 hours. They travel at speeds of roughly 7,000 miles an hour. Small rocket boosters keep each satellite flying on the correct path. GPS satellites are powered by solar energy, but they have backup batteries onboard, in case of a solar eclipse. GPS satellites transmit at least 2 low-power radio signals. The signals travel by line of sight, meaning they will pass through clouds, glass and plastic but will not go through most solid objects, such as buildings and mountains. However, modern receivers are more sensitive and can usually track through houses. Pseudorandom code is an I.D. code that identifies which satellite is transmitting information. You can see which satellites you are getting signals from on your device's satellite page. Ephemeris data is needed to determine a satellite's position and gives important information about the health of a satellite, current date and time. Almanac data tells the GPS receiver where each GPS satellite should be at any time throughout the day and shows the orbital information for that satellite and every other satellite in the system. Ionosphere and troposphere delays: Satellite signals slow as they pass through the atmosphere. The GPS system uses a built-in model to partially correct for this type of error. Signal multipath: The GPS signal may reflect off objects such as tall buildings or large rock surfaces before it reaches the receiver, which will increase the travel time of the signal and cause errors. Receiver clock errors: A receiver's built-in clock may have slight timing errors because it is less accurate than the atomic clocks on GPS satellites. Orbital errors: The satellite's reported location may not be accurate. Number of satellites visible: The more satellites a GPS receiver can "see," the better the accuracy. When a signal is blocked, you may get position errors or possibly no position reading at all. GPS units typically will not work underwater or underground, but new high-sensitivity receivers are able to track some signals when inside buildings or under tree-cover. Satellite geometry/shading: Satellite signals are more effective when satellites are located at wide angles relative to each other, rather than in a line or tight grouping. Selective availability: The U.S. Department of Defense once applied Selective Availability (SA) to satellites, making signals less accurate in order to keep 'enemies' from using highly accurate GPS signals. The government turned off SA in May of 2000, which improved the accuracy of civilian GPS receivers.